Trinity MMA is a South Australian club committed to training and exploring Mixed Martial Arts in a dedicated, productive and positive environment. We believe that there are three equally important aspects of MMA (Striking, Grappling and Submissions). Coach Nick Hughes has designed his classes with the purpose of allowing his students to progress their skills in each specialist area while ensuring that a focus is kept on combining all three elements together. Our goal is to provide our students with a satisfying, challenging and fun training experience and allow them to develop the skills necessary for successfully competing in MMA if they choose. The above classes are both at our Universal Freestyle Fight Club (1/8 Jay Street, Pooraka) location. Both of these classes are based out of UMASAI Hillcrest location. Please contact one of our staff if you’d like to attend. We charge $100 per month, due on the 1st day of each calender month. We also offer a one week introductory experience to new members. 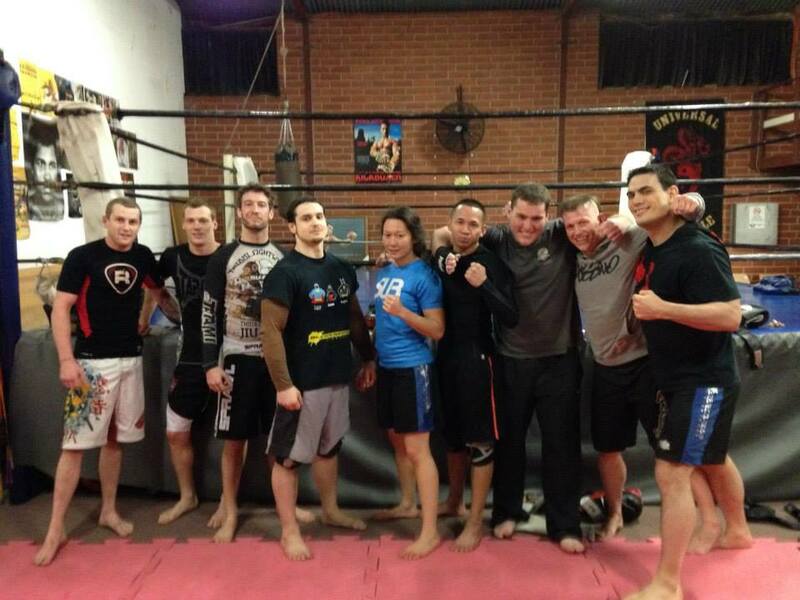 At Trinity MMA, we are conscious of our role in the greater South Australian MMA community. Please contact us with any questions or feedback.